You’ve got to love a kid who knows what she wants, and Alex Atwood certainly does! She just wants the cook from her Dad’s bed & breakfast and her dad to get married. Plus she thinks she can solve a murder case over Christmas vacation – no wonder her dad Rick is acting stressed! This was a great mystery, and Alex and her friends were a unique group of young sleuths. They actually seemed to act their age, which was nice and added some realism to the story. I really got a holiday feeling reading this book. It was my first in the Seaside Bed & Breakfast mystery series, but I had no trouble figuring out what was going on or who was who – the author did a great job of giving you enough info so that you could jump right in at this point. 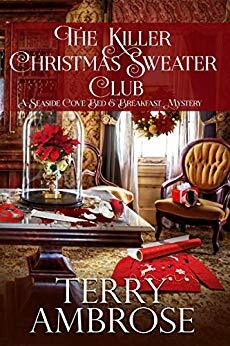 This was a sweet, feel-good mystery, so if you like your cozy mysteries extra cozy, you will love The Killer Christmas Sweater Club! I am not familiar with this series at all but it sounds fun. Nice review Erika. I will have to see if I can find this book. 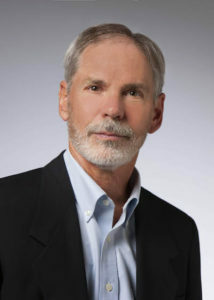 Thank you for your review on “The Killer Christmas Sweater Club” by Terry Ambrose and for being part of the book tour. Good review. This sounds like one to enjoy as well as figure out who done it. Sounds like a great holiday read. Looking forward to reading the book. Thank you for hosting me today and for the great review of The Killer Christmas Sweater Club! My pleasure Terry – thank you for stoping by!